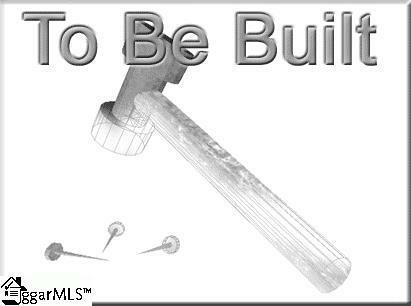 Why Rent when you can Own for Less?! You can now own an AFFORDABLE, NEW CONSTRUCTION HOME, and live MINUTES from Downtown Greenville, Cherrydale, Furman, and Travelers Rest! Maplestead Farms boasts gorgeous homesites that offer panoramic MOUNTAIN VIEWS and direct access to the SWAMP RABBIT TRAIL! 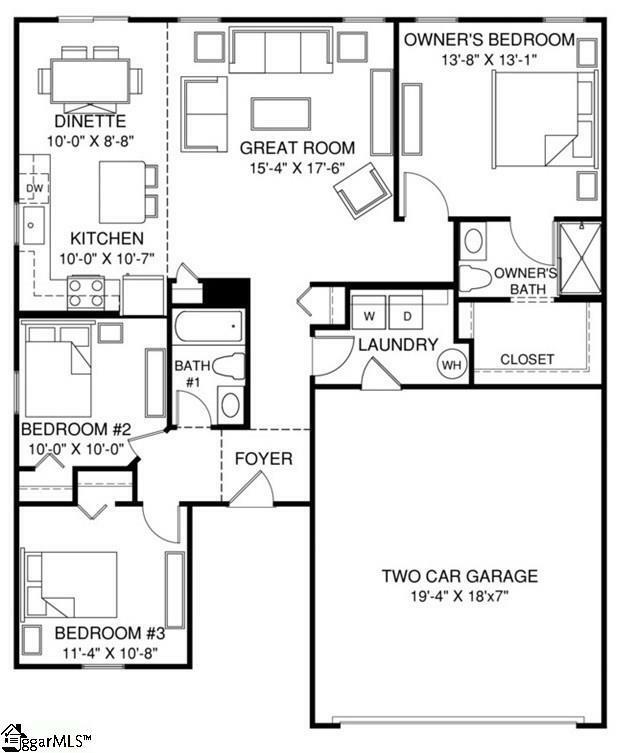 For the convenience of SINGLE LEVEL living with all the amenities you need, look no further than the Plan 1296. As you enter the foyer of this 3 bedroom, 2 bath home, youll know youve arrived in something special! 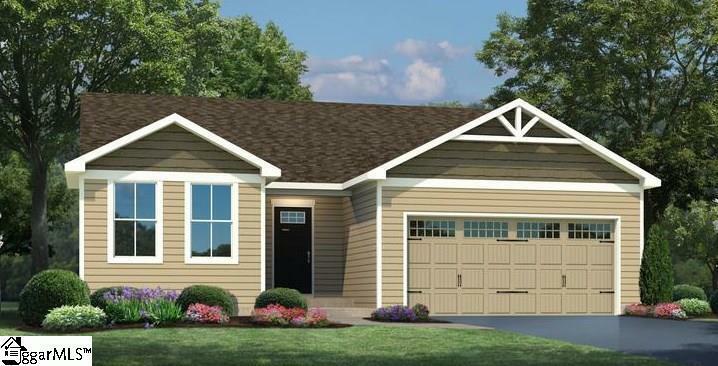 The secondary bedroom wing features two spacious bedrooms and a convenient guest bath, while a service area from the garage leads to a huge laundry room (complete with a washer/dryer!) and arrival area that banishes clutter. But the heart of this home is the living area -- large and inviting, and running the entire rear of the home, its open-concept design keeps your space airy and filled with light. The kitchen features a complete GE appliance package and a large island with room for seating, while a casual dining area provides space for sit-down meals. Off the main living area but given privacy by a small recessed space, the owners bedroom is large and accommodating while still feeling tucked away, and features a private bath with step-in shower and a truly amazing walk-in closet. 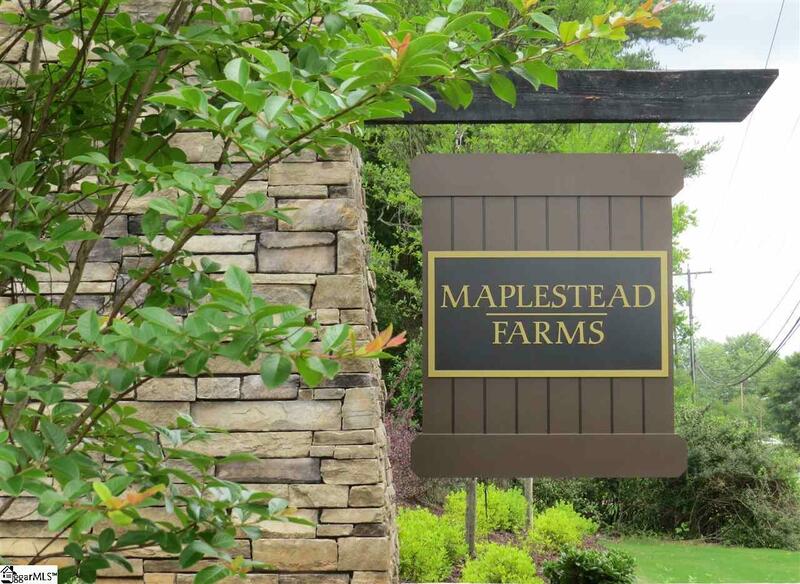 Stop by our model home for more information about Maplestead Farms today!